Ormond Plantation is an excellent location to host a multitude of functions. Centrally located in an area rich in industry, agriculture, governmental and professional agencies, we are prepared to host your most important business gatherings. From a simple meeting to hosting Fortune 500 conferences, Ormond Plantation can cater to your needs. Your most cherished dreams will become reality when you choose Ormond Plantation for your wedding or special event. 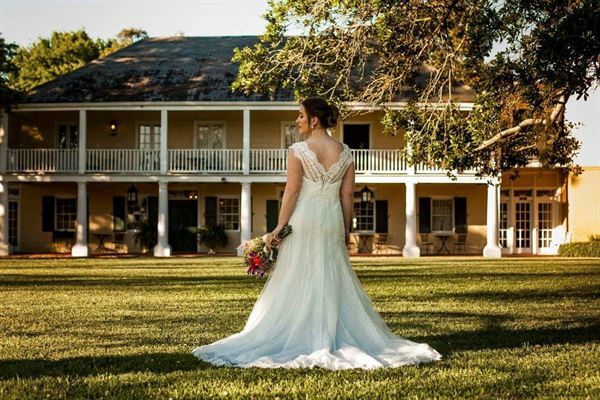 Imagine exchanging vows among the majestic oaks of a 200 year-old Mississippi River plantation located in the heart of Louisiana's German coast, where indigo and sugar were once king. The picturesque Ormond mansion, a rare example of the French West Indies style, is one of the oldest restored plantation homes in the lower Mississippi river valley. All of our event menus are completely customizable, so if you don't see something- just ask us! Under the Oaks Ceremony – Watch the sun set on the Mighty Mississippi in the grandeur of Ormond Mansion With booked reception | $1000 Courtyard Ceremony – Our Courtyard provides a quaint, yet luxuriant setting underneath centuries old majestic oaks With booked reception | $900 Grand Pavilion Ceremony – Our illuminated Pavilion is versatile in playing host to ceremonies, receptions, and parties. It sets the mood for every occasion. With booked reception | $900 Each ceremony includes rehearsal, dressing accommodations for bride day of event (available four hours prior to event) and use of plantation for formal bridal photos. Planning a wedding and reception can be a time of stress for many. Ormond Plantation's package makes your planning simple and enjoyable. Wedding ceremony and reception in our courtyard or pavilion, accomodating up to 400 guests.